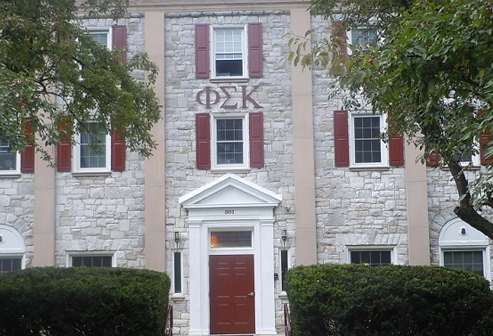 The annual budget for the Phi Sigma Kappa Association is presently set at $148,000. Major sources of revenue include 1) rent from actives living in house and 2) annual fund donations. Major expenditures include 1) mortgage payments, 2) taxes, 3) property insurance, 4) maintenance, 5) management/administrative expenses and 6) alumni relations/outreach. In December, we were able to reset the interest rate for our mortgage for the next five years. With today’s lower rates, this resulted in a lower monthly payment and savings of more than $500 per month. As of April 15, 2014, we have collected $3,000 from 18 donors toward the $5,000 needed to complete this project. Last October, during a Class of ’73 reunion, Bill Albertson ’73 made a request for alumni to help with this drive. Several folks contributed at the reunion. Please note that this drive will end on June 30, 2014. Currently, we are collecting the remaining pledges from our Capital Campaign during which we received more than $1 million for the refurbishment of the House. Beyond that, our short-term fundraising goal is to bring in $14,000 each year to the annual fund. The annual fund is our yearly fundraising drive to support our alumni relations program, including publication of Kappa News and maintenance of our website. In addition, these funds maintain the House. Recent projects have included a new range/oven, additional ceramic tile in the Party Room, colorful stair treads leading to the Party Room and repointing of the mortar on the House exterior. Our current needs are to support a new scholarship fund, improve landscaping and provide new dining room tables and window treatments. The annual fund begins Sept. 1 each year. Last year, we raised $11,290 from 82 donors. This year, the 69 donors listed below have contributed $10,301 toward our $14,000 goal. There is still work to do!